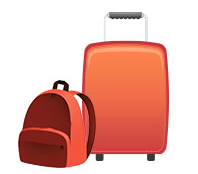 My Baggage offers fast and affordable student luggage shipping to all destinations in Europe. My Baggage is the No.1 Student Shipping Service. So if you’re off on your year abroad, or having a year in industry on the continent, we can help you transport your luggage from country to country. 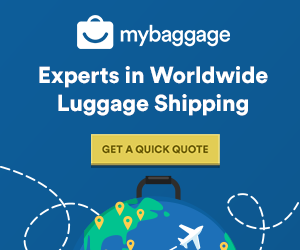 My Baggage provides great low rates and fast delivery times for luggage sent to and from Europe. For the ultimate convenience, we also offer door-to-door service, full online tracking and handy email/SMS updates. Every year thousands of students take the opportunity to travel internationally; either as part of a study year abroad, to experience a year in industry or to do some travelling in between studies. Fortunately, experiencing a year abroad is an option that is offered as part of many university courses, especially with language, tourism and business degrees where an international experience is likely to complement and benefit your studies. But it’s not just language and business students who should seize this opportunity, for all students travelling abroad is the best way to broaden your horizons and it gives you the time to consider international career opportunities after graduation. European countries such as France, Germany, Austria and Italy are among the most popular destinations for a third year abroad, due to the convenient travel options – all of these countries are just a short plane journey away. Although travelling to Europe is a quick and easy process, transporting luggage on your journey can be quite the headache. As most students on their European year abroad will be moving country for a considerable period, they will usually need to take more luggage with them – often more than one suitcase. Anyone who has travelled by plane recently will know that adding airline baggage to your flight doesn’t come cheap – nor is it convenient, with restrictive baggage weight allowances, stressful pick up and collections and the fact that you have to spend your journey carrying heavy luggage. So, that’s where My Baggage comes in! We take the stress and the cost out of transporting your luggage to and from Europe, so you can relax and enjoy your journey to the continent. With up to 30kg allowed per item and offering door-to-door luggage collection and delivery, My Baggage’s international student shipping to Spain, France, Italy, Germany, Ireland and all other EU countries is allowing students to settle into their new environments. My Baggage offers super fast luggage delivery times to and from Europe so there’s no waiting around to receive your belongings. We offer 3-5 day delivery time to most European cities and can offer an express 1-2 day service to many European destinations, for those who need their luggage delivered fast. It’s not just UK students travelling to mainland Europe who can avail of My Baggage’s cheap and convenient luggage shipping service. International students moving to the UK from countries throughout Europe can send luggage with us too. We offer great rates and fast delivery times on luggage sent to and from 200+ countries worldwide. Visit our quote page to get a price for your international shipment. As many of the My Baggage team have studied in Europe, we understand that there are a lot of financial expenses involved. That’s why we offer great low rates for sending luggage to and from Europe. We even provide a handy Price Match tool, so if you do happen to find a cheaper price elsewhere, we’ll try to beat it. Find My Baggage on Facebook, Twitter, Google + and LinkedIn. You can find our latest career opportunities on My Baggage’s Workable Page.